When they meet this week, the European Union heads of state and government will be hard-pressed to thrash out agreements on pressing topics such as the banking union to keep the euro alive and European defence given the impending demilitarisation of Europe. In passing, they might even devote a few thoughts on a global strategy to stem Europe's geopolitical decline. It is no wonder that enlargement falls at the very bottom of the issues for this European Council, to the point that one can hardly find it in the agenda. Potentially relevant decisions are expected, such as a candidate (or pre-candidate status, to be confirmed in 2014) to Albania and a date for starting Serbia’s accession talks. Member states are logically distracted by sexier geopolitical themes, such as Iran or Syria. 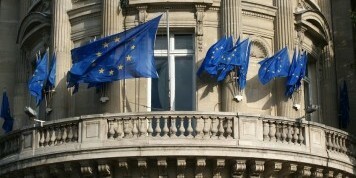 Enlargement, once a shared European foreign policy, nowadays suffers from three factors: poisoned domestic politics (e.g. David Cameron's recent calls to restrict freedom of movement to – poorer – new member states, to forestall UKIP's gains); a managerial approach, which sometimes turns fundamentally complex processes such as democratisation and rule of law into tick-off-the-list issues; and third, clashing interests among all actors involved. Some member states lobby to expedite the process whereas others are more concerned about empowering spoilers – and impact on their purses. Not to mention Balkan leaders who are torn between fear of a closed-door Europe and one that is too open. The politics of this – maybe final – wave of enlargement is essentially about balancing such competing claims. The EU tries to spur modernisation whilst refraining from making promises it might not deliver on – a policy killer. This standoff, coupled with the need to quell criticisms, explains the dominant rhetoric on the EU's transformative power and its stabilising effects in the Western Balkans. Speedy claims of “success” and “progress” prevail over thorough assessments of what is actually going on the ground. Healing history's deep scars: really? In the field, though, things seem very different, as does life for most people – the ultimate beneficiaries of these policies. Rather than just repeated flight diplomacy to Balkan capitals to meet grinning ministers, some senior EU officials could now and then, for instance, take one of the worn down buses leaving Eastern Sarajevo to ethnically-cleansed Eastern Bosnia. The many minefields scattered throughout the Inter-Entity Boundary Line (IEBL), declining population centres, abandoned Yugoslav factories, and an overall sense of irreversible decline and poverty are stark reminders that there is something amiss. Bar a few EU Force (EUFOR) Liaison and Observation Teams (LOT) soldiers or an EU-funded infrastructure project, the EU is non-existent here – a point that can be made about much of this largely rural region. Returnees on either side of the IEBL are mostly elderly people living in isolated settlements, far away from the population centres of the other ethnic majority, where mingling is limited to personal contacts and ad hoc initiatives. Some 7.000 people still live in appalling collective centres, many of them having lost their Displaced Person status. The EU is supporting the Regional Housing Programme, to be implemented by the Organisation for Security and Co-operation in Europe (OSCE) and the UN's refugee agency UNHCR. But segregation, the economy, and demographics might end up finishing the business started by war criminals. Bosnia is a thorn in the side of the international community as a whole. Yet, even in purportedly pro-integration front-runners, EU-led modernisation is not evident. 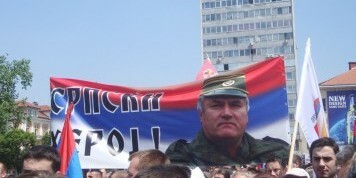 A similar picture emerges in other parts of the Balkans. In Prishtina you come across cars wrapped in the double-headed eagle Albanian flag, only to rapidly encounter Serbian flags upon reaching the Serb-majority Gračanica. The only common language seems to be nationalism. Exclusive symbolisms, smothering identity politics, and hate-filled discourse pervade everything. The EU's “healing history's deep scars”, even with positive developments such as the EU-brokered agreement between Serbia and Kosovo, seems distant. EU-led reforms, thus far, are achieving precious few results as regards to nationalism and zero-sum game politics and power networks, the same structural factors that sowed conflict. Claims of transformative power in Europe ring hollow for many people who see basically the same elites in power. Impunity, state capture, systemic corruption and clientelism are common terms in most assessments. Whilst EU claims of progress in countries such as Albania to justify the granting of candidate status, other pundits talk of a “hybrid regime“ – of the likes of Libya or Venezuela. One is left in awe with the Balkan elites' skilfulness at seamlessly playing three different games: the European, the nationalist, and the divide-and-rule game. Laws are rushed when it is European Commission progress report time or the European Commissioner is in town, together with a flurry of back-and-forth visits to Brussels to buttress European credentials. Out of the spotlight, the real business takes place, with political infighting watering down reforms – they “talk the European talk, but do not walk the walk”. Playing the nationalist comes handy so as to withstand power challenges or scapegoat others from their own governance failures. And, finally, elites are top class masters at playing divide-and-rule with international actors, generally leveraging them for their own domestic interests. These EU-bound Balkans are therefore a twisted mix of the old ways, the 90s, uncertain political transitions, and glimpses of Europeanisation. Some habits die hard, such as the preference for strong-handed leadership (čvrsta ruka); a culture of dependency on others to solve their problems, and an underlying zero-sum political culture that is geared to reward the destruction of the adversary and abhors consensus. The EU has become deeply trapped in this vicious circle and it has often become another political tool. Transforming war-torn, fragmented societies are daunting tasks that defy conventional wisdoms and reap scarce successes – hardly the fancy of any European government these days. There is no perfect recipe and EC officials are often fully mindful of these dilemmas and the elites’ games, but too often enlargement operates as a policy straightjacket, limiting badly needed flexibility to adapt to shifting circumstances. For a start, member states need to foster internal consensus on enlargement, anchoring the EU’s efforts on the ground to a certain strategic direction – and a long-term vision on Europe, now sorely missing. Europeans should also try different policy options, not just a one-size-fits-all template. You will not “solve” Bosnia with just enlargement criteria: there is a long wish-list, but it chiefly includes reconciliation and constitutional reform. It is comforting that the EC Strategy 2013-14 rightly identifies reconciliation as a pending task, as well as rule of law and deeper democratisation. But these are long-term processes that cannot be achieved overnight, top-down, at the pace of the elites’ needs or specific EU dynamics. And they cannot be achieved by EU institutions alone. Full-scale transformation of the Western Balkans might not come to bear anytime soon – history matters too much. And yet even in spite of its massive reputation loss, the EU still has an allure for many in the Western Balkans who have only known conflict and injustice and who deserve better. Its shortcomings as a geopolitical and military actor notwithstanding, it might as well be that a more stable and democratic neighbourhood could be Europe's finest legacy.